Ever since the 1990s, courts and police have cracked down on “drunk drivers.” This crackdown continues, as some states are considering following Utah and lowering their BAC levels to .04. Yet despite all these efforts, alcohol is still a factor in at least a fourth of the car crash fatalities in Rockford. Alcohol-related crash victims in Illinois may be entitled to substantial compensation, and not just from the tortfeasors (negligent drivers). It takes most adults at least two or three drinks to reach .08. But alcohol is an incredibly powerful drug which affects both the mind and the reflexes. So, all drivers are dangerously impaired after only their first drinks. Taken individually, these things essentially prove nothing. For example, alcohol causes bloodshot eyes, but so do many other things. But collectively, they point in only one direction. Furthermore, in civil court, the burden of proof is rather low. Victim/plaintiffs need only establish facts by a preponderance of the evidence (more likely than not). Said violation substantially caused the victim/plaintiff’s injuries. In most negligence per se cases, this doctrine establishes liability as a matter of law. It does not matter how careful or careless the tortfeasor behaved. It does not even matter if the tortfeasor was guilty of DUI in criminal court. In Rockford negligence cases, the jury determines all factual matters. Alcohol Sale: In most other states, the sale must be illegal, perhaps to a minor or to an obviously intoxicated person. But in Illinois, any sale is sufficient. It does not matter if the purchaser was young or old, drunk or sober. Factual Cause: This element has to do with the root cause of the crash. For example, assume an impaired tortfeasor ran a red light. That act may not be the underlying cause. If the driver had not been impaired, s/he probably would not have run the red light. Proximate Cause: This phrase is basically Legalese for a foreseeable result. There must be a connection between the factual cause and the damages. If a doctor makes a medical mistake during post-crash surgery, that event is not foreseeable as far as the tortfeasor is concerned. Substantial Cause: Police officers often list several causes of the accident in their reports. Alcohol need not be the only cause, but it must be on the list. Third party liability may also apply to social hosts who over-serve their guests, under a theory like negligent undertaking. 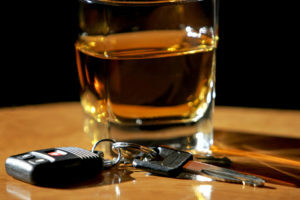 Compensation in alcohol-related crashes usually includes damages for both economic and noneconomic losses. For a free consultation with an experienced personal injury lawyer in Rockford, contact Fisk & Monteleone, Ltd. Home and hospital visits are available.